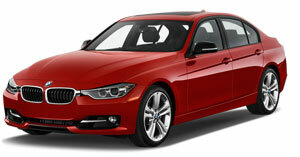 BMW has been a steady fixture as the pinnacle of affordable luxury for almost 100 years. Their reliable German engineering and design have kept them as a mainstay among auto connoisseurs around the world. With years of experience and ASE Certifications, the mechanic team at My Mechanic is readily able to perform almost all BMW repair and service needs in SF. They have built a great reputation in the SoMa area of San Francisco and are always excited to see a new customer walk through their doors. In order for My Mechanic to have such a great reputation they needed to provide both excellent service as well as affordable prices. They strive to treat every customer with respect by working diligently to meet or exceed their expectations. If My Mechanic sounds like the shop for you and your BMW, like it has for so many other customers, stop by the shop and have your vehicle serviced today.